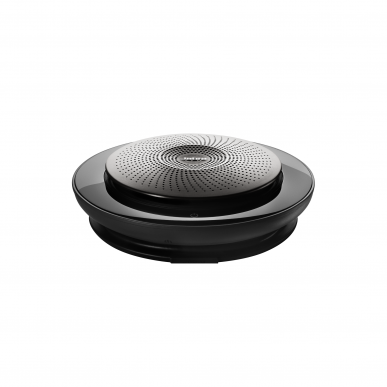 This nifty little speakerphone works with your PC, laptop, tablet and smartphone. 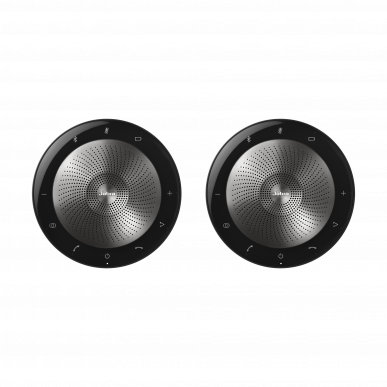 Launched in April 2017 it is the next step up from the Speak 510+ from Jabra. It future-proofs you too. 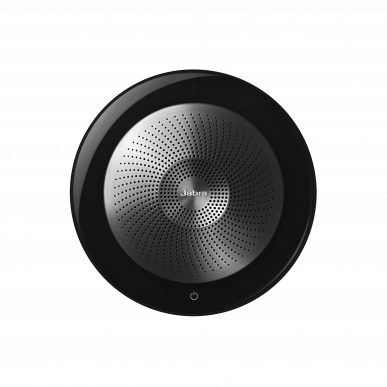 Whilst on it's own it will cope with 6 people if you need for a larger meeting you can link 2 together via Bluetooth. Need directional sound? No probs - the speak 710 MShas a stand. Ideal for a few of you huddled around a PC. 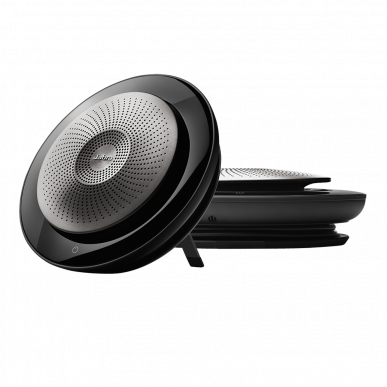 Jabra Speak 710 is a premium, portable speakerphone for business leaders and executives that ensures amazing sound for conference calls and music - anytime, anywhere. >p>With more power than ever before, and in a small, compact, portable design with a unique color and folding stand for improved design and flexibility. Connect to a smart device or laptop in seconds via USB and/or Bluetooth®. 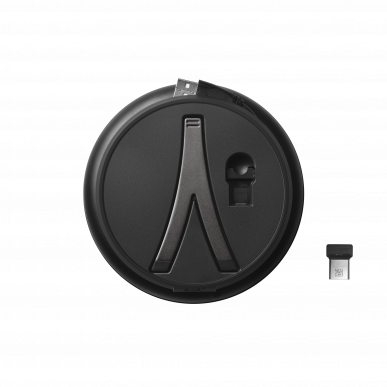 The 710 comes with a Jabra Link 370 adapter, providing a 30-meter range from your laptop or smartphone (dependant on the range of your smartphone), and 15-hour battery life for added flexibility. 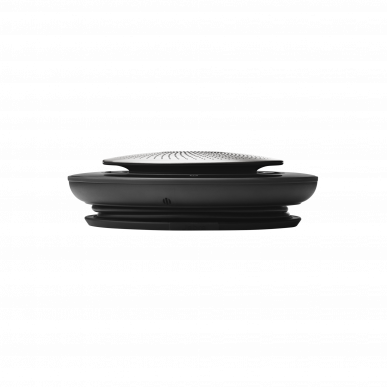 The high performing Omni-directional microphone is ideal for conference calls with up to 6 in-room attendees. 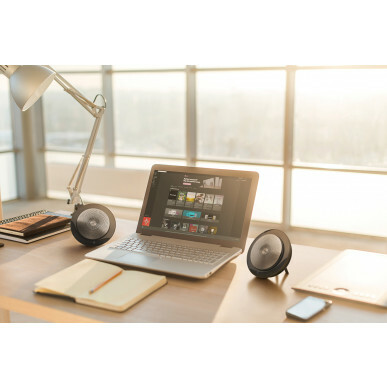 The first truly professional and personal device with a HiFi-grade speaker that is optimized for amazing sound, and crystal-clear conference calls and music. 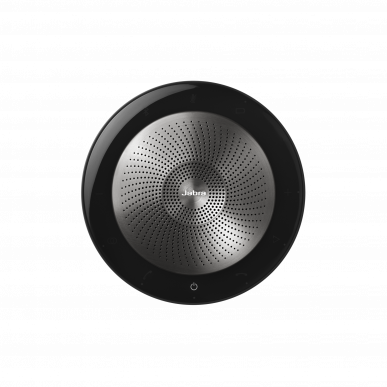 You can even personalise your Speak 710 experience by integrating your smartphone digital assistant using MS Cortana, Siri®, or Google Now™, with the unique one-touch Smart Button. 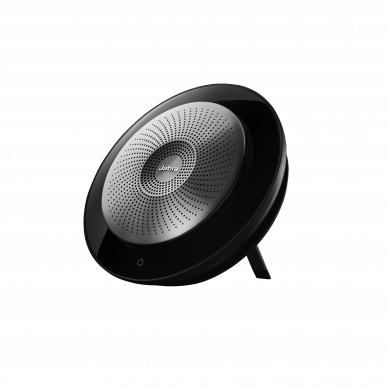 The Speak 510+ has a slim and compact design and is the perfect solution for audio conferencing on demand with a compact and lightweight design, an integrated usb cable management for quick set-up and a protective travel case. This is a simple plug and play solution - just plug it into a USB port on your laptop, tablet, PC and even some phones, and you're ready to dial in. 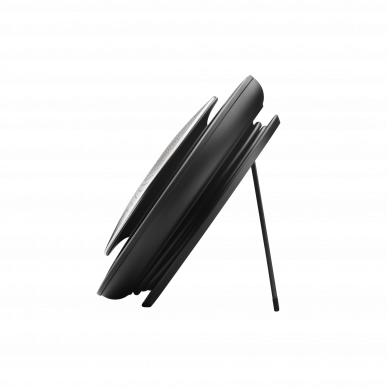 Use on the go with your mobile phone, Bluetooth enabled laptop or tablet. If your PC isn't bluetooth enables, no problem! You can wither just plug it in via the USB cable or use the USB dongle that it' comes pre-paried to. 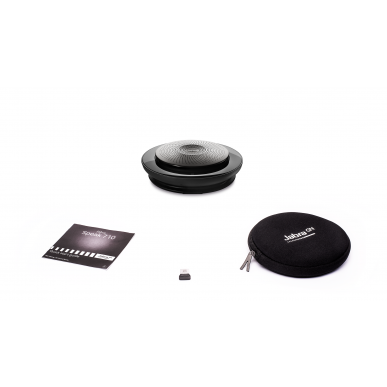 Outstanding sound quality gives you crystal-clear and natural sounding calls that allow attendees to hear and speak clearly across any location and saves on costly travel expenses. Of course you can also use this as a speaker for your computer to listen to music and video.